South Asia is not only home to the philosophy of non-violence as espoused by Gandhi, but is also home to numerous spiritual and religious ideas. Buddhism, Hinduism, and Sikhism are all major world religions that evolved from the Indian subcontinent. I was born into a Sikh family, but I am only starting to grasp some of the concepts of Sikhism in middle age as I strive to find answers to many of the questions of our existence and purpose in life. This article is dedicated to the victims of the Sikh Temple massacre in Wisconsin. The shootings were carried out by a white supremacist, Wade Michael Page, who was a former US Army "psychological operations specialist" -- worshippers at the Wisconsin Sikh temple said they had never seen him before, and it seems unlikely he knew much about them. Sikhism is a relatively young religion started by Guru Nanak who lived from 1469 to 1539. 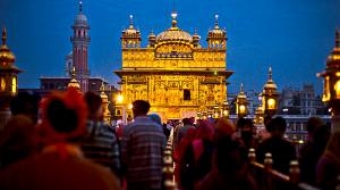 Sikhism is the fifth largest religion in the world with approximately 26 million adherents. The state of Punjab in India is the only state in the country that has a majority Sikh population. 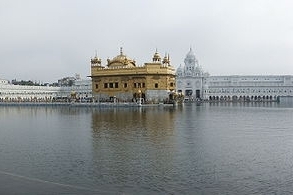 The holiest shrine in Sikhism is the Golden Temple located in Amritsar, Punjab. The Sikh diaspora is widespread and includes established communities in Australia, Britain, Canada, and the United States. 1. Sikhs believe in “One Supreme God.” Before creation all that existed was God and God’s will or order. From this will or order God created the entire cosmos. 3. All Sikh temples provide “langar” or a free vegetarian meal for all. 4. Sikhs are committed to equality for all of humankind including gender and racial equality. 5. Sikhs are called upon to defend the rights of all creatures especially human beings. This includes the religious and political rights of people who are experiencing discrimination. 6. “Sikh” means 'student' or 'disciple'. Sikhs learn from the teachings of the ten Guru’s and the Sri Guru Granth Sahib (holy book) which is the final living guru. 7. The ultimate goal for every Sikh is to achieve union of the soul with God. This union will break the cycle of reincarnation. Sikhs achieve this through their thoughts and actions so that the five obstacles of life - lust, anger, greed, ego, and attachment or materialism – are dispelled and the soul is united. 8. The guiding principles of Sikhism is truth, equality, freedom, justice, and karma. 9. Sikhs believe in meditation and prayer, honest hard work, and sharing. 10. Sikhs believe in universal, selfless love, and brotherhood. Only those who selflessly love everyone are believed to find God. Many of these ideas cut across religious lines. Judaism, Christianity, and Islam also believe in "One Supreme God." It would be wonderful if people from the various faiths searched for spiritual ideas that unite humanity instead of divide. We are all God's children and all a part of creation. Government employees to work less and from home?